You would think, living in San Diego, that the San Diego’s airport would be the one I am most familiar with. But it is not the case. 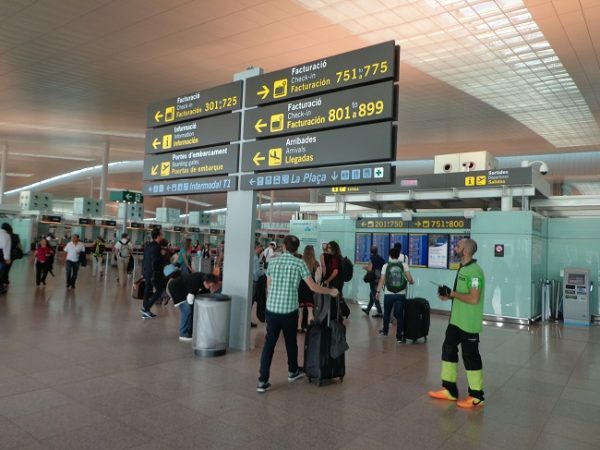 Because of Vueling airlines, who flies from Barcelona to many of the places I run tours, I find myself transiting through Barcelona’s El Prat more than any other airport. 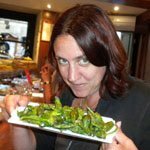 The first time I flew out of Barcelona was in 2004. It was a smaller, sleepier airport in those days. In 2009, everything changed. 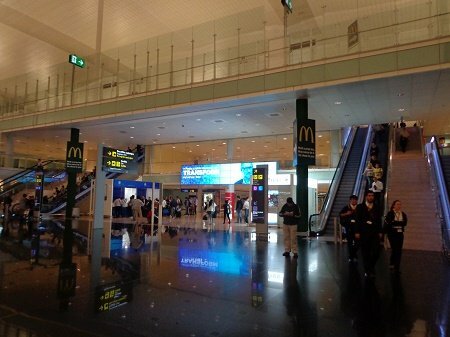 It is now possible to even sleep IN the airport, there are many nice shops inside the security area, a well-managed left-luggage office, and some decent cafes. But it is big and sprawling and can be difficult to navigate. Here are some tips. 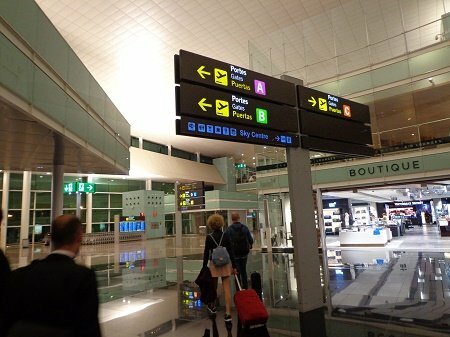 If you are flying out of Barcelona El Prat, you will need to know your terminal (1 or 2.) 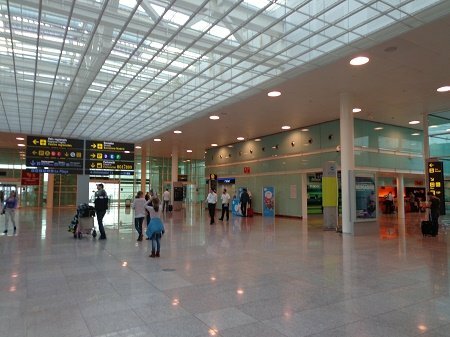 Vueling and many international carriers fly out of Terminal 1, while most of the low-cost airlines fly out of Terminal 2. This blog post will focus on Terminal 1. When you arrive at the check-in area, it can be insanely busy so allow plenty of time. If you are flying on a weekday morning, you will be arriving at the same time as many business travelers. You will see large boards, where you can find your airline and the counter to report to for check-in. The hall is very big and lines can be long. I allow three hours for an international flight and two for flying within Europe. Sometimes you don’t need all that time, but I hate to stress out about it. If you are flying out of Europe, you will go to a different gate area with passport control. If you are flying within Europe, (excepting non-Schengen countries) and you get to passport control, you are at the wrong entrance. Make sure you are going to the correct gate, because if you are flying to Germany and you end up going through passport control, it is not so easy to get out. Once you are in the secured area, there are a lot of great shops and some nice cafes. 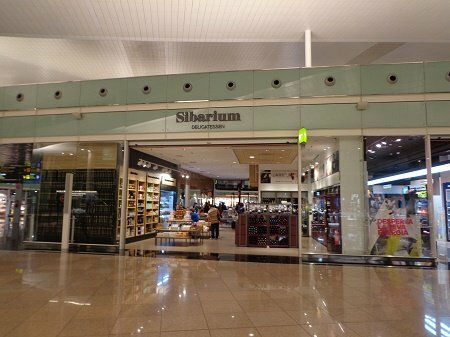 I like to go to Sibarium to buy ham to eat on the plane. Just make sure you eat it all if you are flying to the US, because you can’t take it home with you. You can also buy tasty flight picnic supplies in the Duty Free shop. There is absolutely no reason to eat that airline food. Not when you are flying from Barcelona. Terminal 1 is not so hard to navigate when you are flying out of it. But, flying IN and trying to get OUT is another story. The secured area is a big oval shape with the stores and cafes in the middle of the oval. Signs are posted to exit, but it is easy to walk around in circles there. What you want to look for when you are walking around in circles, is this McDonald’s sign. Once you see that sign, hang a right and you will be out of there. 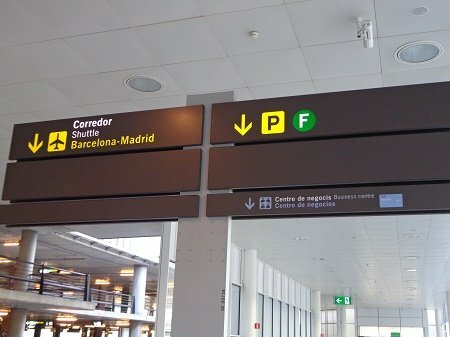 If you are renting a car, or want to leave your luggage in the left-luggage office (sometime I do if I am only in Barcelona for a day or two) follow the signs to “La Placa.” You will come to a big hall where the car rental agencies are, plus the tourist office. Near here, you will see escalators down to the left luggage area. 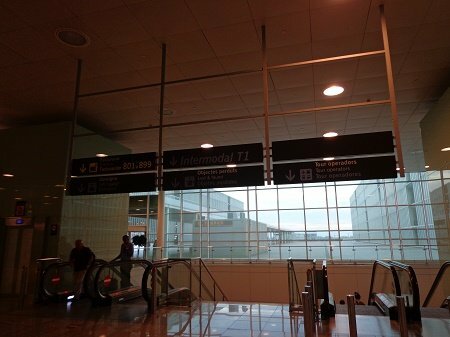 Look for “Intermodal T1.” At the bottom of the escalator, you will be in a large room. The left-luggage office is at the back of the room. The cost is 10 euros for 24 hours. If you are looking for the Aerobus into the city center, it departs from outside the bottom of the escalator. Whoever planned to put the left-luggage office close to the Aerobus was really thinking! The hotel is literally part of the business center. So follow the signs there. If you do decide to stay in the hotel inside the airport, note that there is not a lot to do so don’t plan to do much but sleep there. You can take the Aerobus to the city center once you’ve stashed your things in your room. But if you don’t want to, there are a couple of places to eat and drink something. 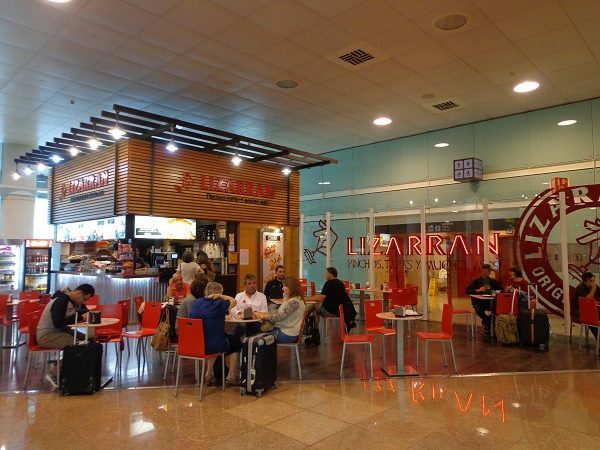 Lizarran is a chain specializing in Pinchos – small pieces of bread with assorted toppings – and other tapas. They have wine and beer and coffee. I would much rather hang out in the city center, but if you have a good imagination, many things are possible. 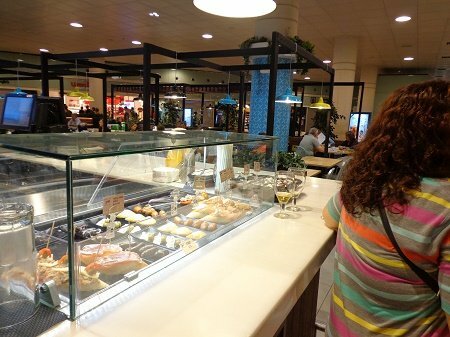 There is also a cafe with drinks, sandwiches and tapas right where people exit from the customs area. So if you are waiting for someone, or are spending the night at the airport and just want to do some people watching, you can do this in relative comfort at Cafe di Fiore. All this talk about El Prat airport is making me anxious to get back!